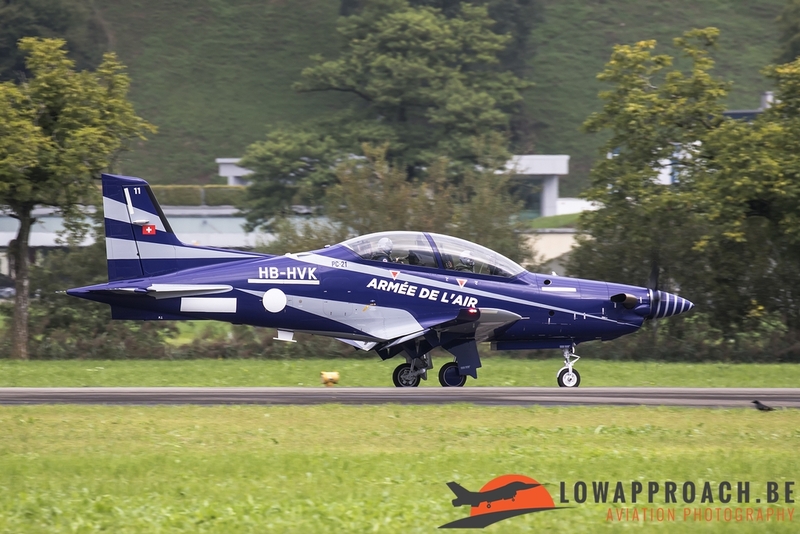 The airfield in Buochs/Stans is the homebase of the Pilatus aircraft factory. 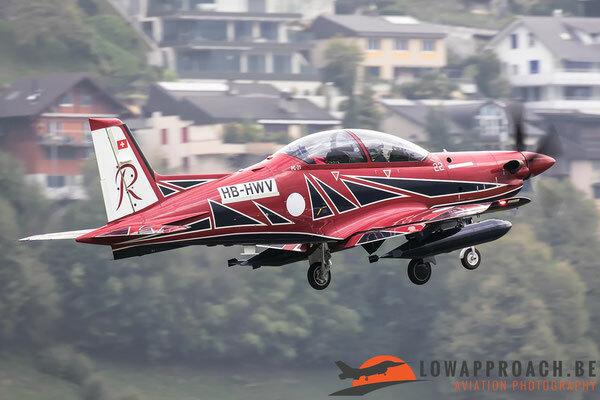 Visiting this airfield can be a real hit or miss as you can capture various planes for interesting customers, but you can also go home with nothing. Luckily, if you keep a close eye on the timetable from the airport’s website, you can sometimes catch some nice movements. And that’s what a couple of members from our team did on the 14th of September. 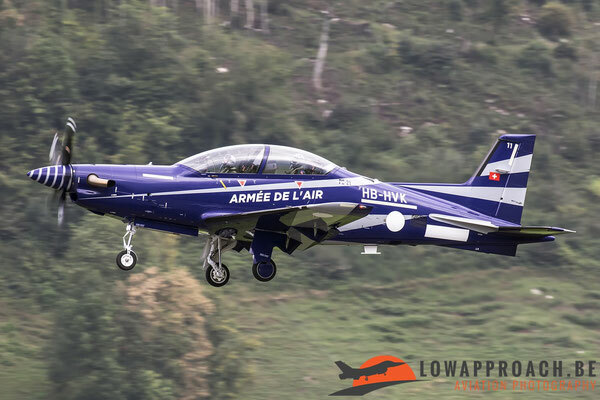 During the week from the 10th till the 15th of September, Andy, Lien and Tim went to Switzerland for a short spotting trip in this beautiful country. Knowing that a visit to Buochs/Stans can result in some interesting aircraft, they kept a close eye on the timetable on the airport’s website and saw that on the 14th of September a flightplan was published for 2 PC-21 delivery flights. 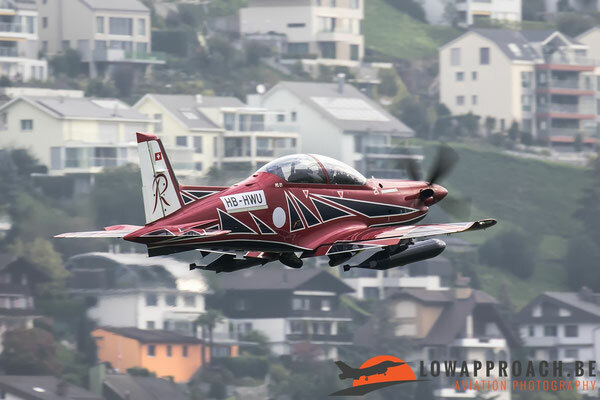 Weather on the day was cloudy, but luckily the mountains in the background helped to create some contrast with the airplanes that were taking off. Around 09:00 they heard the sound of a turboprop from between the hangars of the Pilatus factory and shortly afterwards they saw the first PC-21 taxiing that was planned to be delivered. 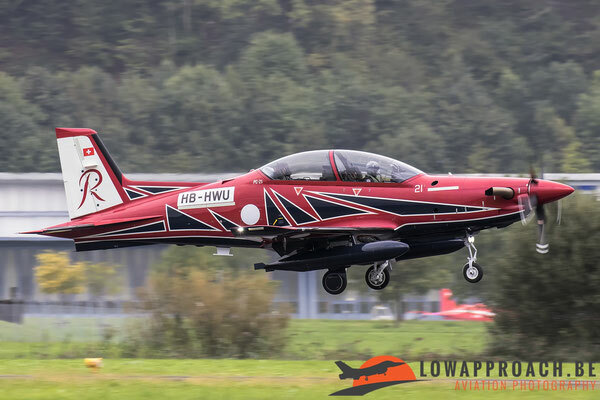 The PC-21 still had the civil registration HB-HWU applied. This PC-21 is destined to be delivered to the Royal Australian Air Force, and once officially handed over will become "A54-21” and will act as one of the aircraft for Australia's national display team “The Roulettes”, which are currently flying the Pilatus build PC-9. Some 20 minutes later the second aircraft taxied to the beginning of the runway. 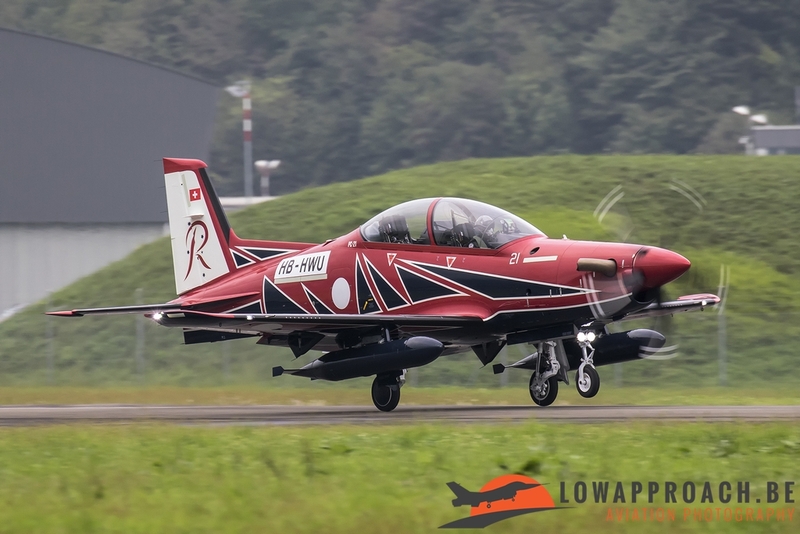 This PC-21 was also still carrying its civil registration, this being HB-HWV and eventually will become “A54-22” in the Royal Australian Air Force when officially handed over. 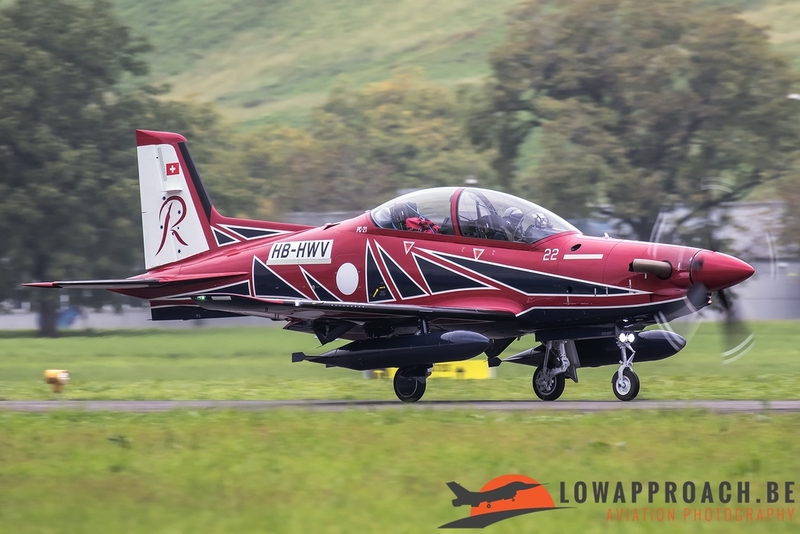 This turboprop will also fly for “The Roulettes” display team in the future. 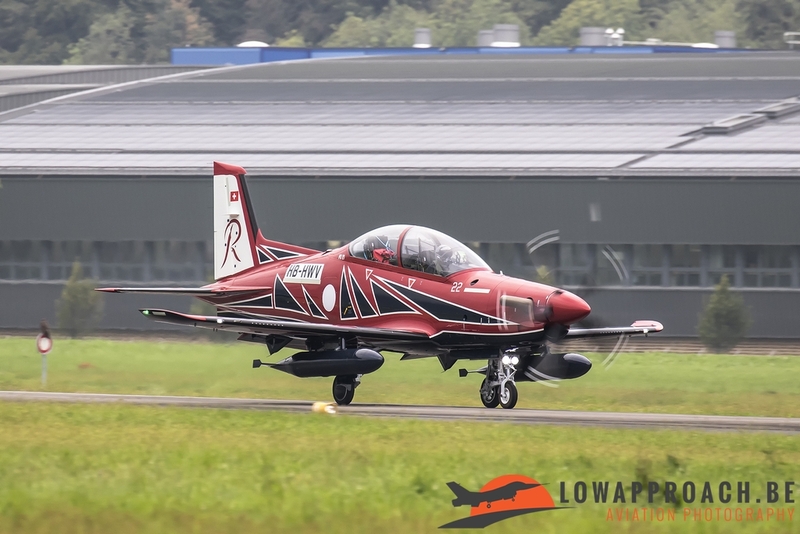 Since it was still early in the morning Andy, Lien and Tim decided to hang around a little longer in the hope to catch some other aircraft that could perform a testflight before they could be delivered. After a wait from a little hour they saw a purple PC-21 backtracking on the runway. 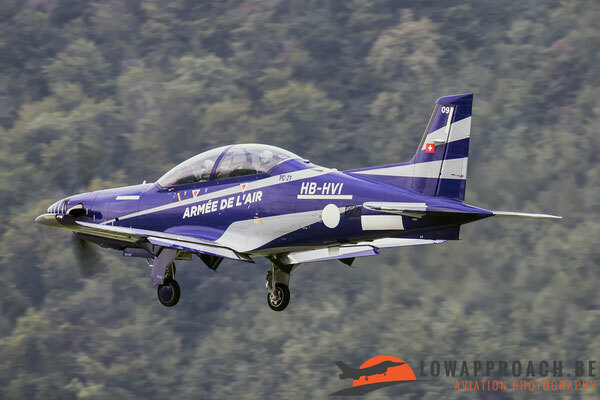 This PC-21 is meant to fly for the Armée de l’Air (French Air Force) in the not so far future. 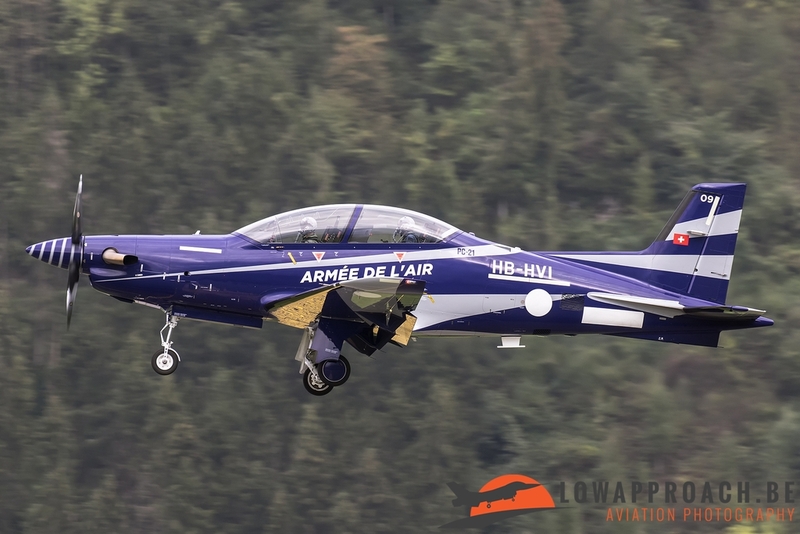 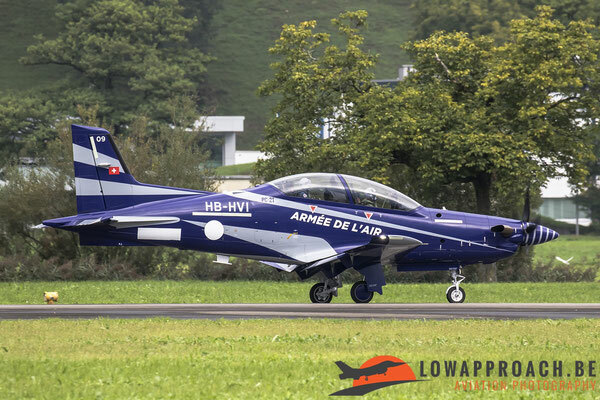 Also still carrying its civil registration, HB-HVI, this advanced trainer will become PC-21 with registration “09” within the French Air Force. Shortly after this one took off, another future French Air Force PC-21 taxied towards the runway. 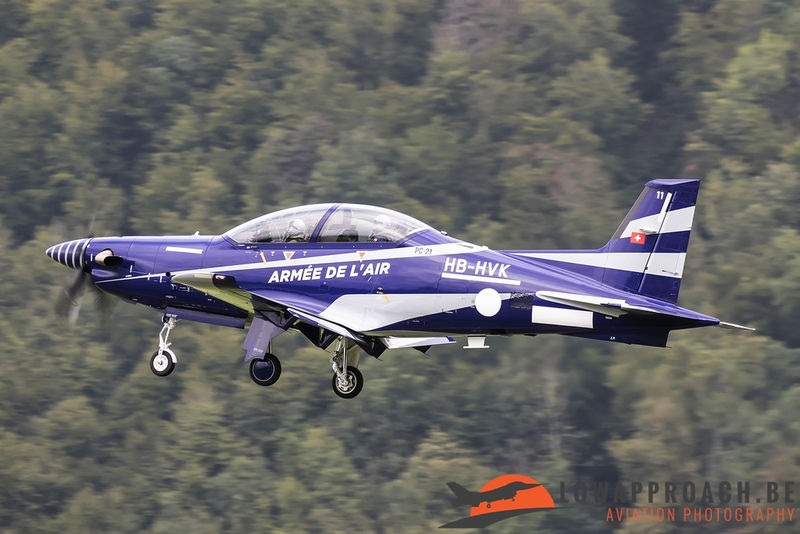 This time it was the HB-HVK, future “11” in the Armée De L’air that took off for some test flights. After these PC-21’s had taken off the trio called it a day, not a bad catch at Stans/Buochs for a 2 hour stopover.